What is the fuss about SSD and what is it? At Host Africa, we only use SSD storage. Thus we thought we could do an article telling you a bit about this magical storage medium. What is SSD? Well according to Wikipedia “A solid-state drive (SSD) is a solid-state storage device that uses integrated circuit assemblies as memory to store data persistently. It is also sometimes called solid-state disk. SSD technology primarily uses electronic interfaces compatible with traditional block input/output (I/O) hard disk drives (HDDs). This permits simple replacements in common applications.”. What this boils down to is that the drive has no moving parts, is very low on power usage and can “seek” data a LOT faster than a drive with spinning disks. 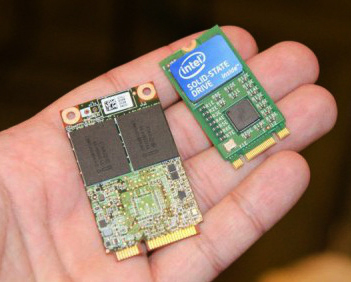 SSD drives are smaller and lighter than previous drives. This makes it possible to create today’s ultra-thin laptops, tablets, and other mobile devices. Modern SSD drives malfunction less often than normal hard disks. As an added bonus, the lifespan of most drives can be measured in decades — at least under normal use. SSD drives are also not prone to degradation due to shock or temperature like a normal hard disk. 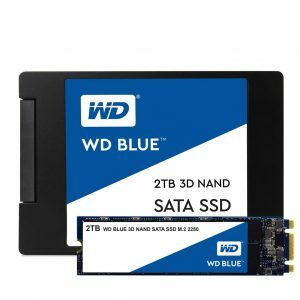 Why should I want to use an SSD drive? Laptops can take a beating while they travel with you. Having a storage device that isn’t disrupted by bumps is a huge bonus. HDDs with their moving parts can be damaged if they’re spinning when the drop or impact happens. SSDs are less likely to be affected by impacts. SSDs also require less power, so your laptop battery should last longer. SSD speed – the differences in speed loading apps on your PC might be minimal. You probably won’t notice if Office apps load in two seconds rather than four. Using an SSD to boot Windows 10 will be significantly faster and a resume from sleep or hibernate is almost instant. Hard drives are more plentiful in low-end and older systems, but SSDs are becoming more prevalent in recently released high-end laptops and gaming set-ups. This depends entirely on your usage case. If speed and endurance are of prime importance along with a long battery life on your laptop ( think of a travelling executive ) then SSD is your way forward. If you want a bit more life in your old laptop, upgrading with an SSD can be a cheaper option than buying a new laptop, especially if you stay under the 500GB mark for size. SSD drives are currently still expensive compared to traditional hard disks, but as in all things electronic, this too will change.